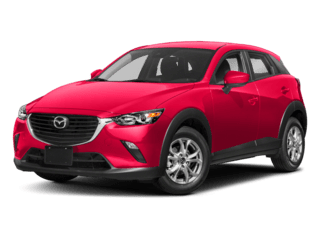 Sport Mazda offers loaner vehicles to its customers for use when their vehicle is in for service. These vehicles are maintained with close care. 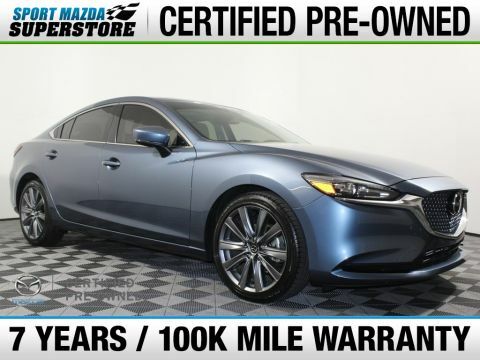 Every one of these incredibly priced “off-rental fleet” vehicles are original Sport Mazda vehicles and will be sold to the public with full Mazda certification meaning warranty coverage up to 7 years/100,000 miles at NO ADDITIONAL charge! Some current model year vehicles are offered at $8,000 less than their new same year counterparts. There is a limited number of vehicles that must be sold immediately – those vehicles not sacrificed during this event WILL be sent to auction! 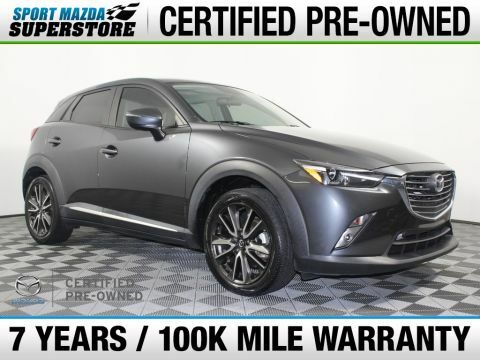 SAVE THOUSANDS on this 2016 Mazda CX-3 Grand Touring. SPORT AUTO GROUP USED CAR SUPERSTORE - 9786 S. Orange Blossom Trail, MAZDA CERTIFIED, LEASE THIS VEHICLE FOR LESS!, MID SIZE SUV, LIFETIME POWERTRAIN WARRANTY, LOCAL TRADE IN, ONE OWNER / CLEAN CARFAX, SUNROOF, LEATHER, BACK UP CAMERA, BLIND SPOT MONITORING, NAVIGATION, BLUETOOTH CONNECTIVITY, PREMIUM SOUND SYSTEM, Alloy wheels. Wholesale Direct Pricing from Don Mealey / Sport Auto Group - offering Unbeatable VALUE from a name you can Trust.- We price our quality cars, trucks and SUVs below market price daily to offer the absolute BEST VALUE in Central Florida. (No Salvage, Flood or Rebuilt Titles!) We also offer Low Bank Rate Financing, Credit Union Financing and Credit Challenged Finance Solutions in a Reputable - High Integrity Dealership Environment. DealerRater.com's #1 Customer Rated Dealership and Dealer of the Year 6 Years in a Row w/ over 6,000 Positive Customer Reviews Online :) Our Wholesale Direct vehicles are inspected, safety checked and always carry any remaining Comprehensive Factory Warranty. Our Used Vehicle Prices do not include tax, tag, electronic filing fee, pre-delivery service charge or Dealer Fee ($699). Due to the possibility of 3rd party errors or omissions, dealership is not liable for the accuracy of information in listing. THANKS for the opportunity to earn your business! 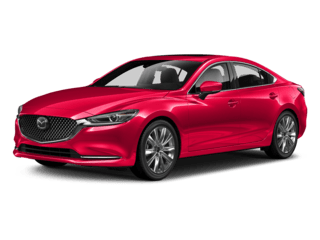 SAVE THOUSANDS on this 2018 Mazda 6 Grand Touring. SPORT AUTO GROUP USED CAR SUPERSTORE - 9786 S. Orange Blossom Trail, MAZDA CERTIFIED, MID SIZE SEDAN, LIFETIME POWERTRAIN WARRANTY, ONE OWNER / CLEAN CARFAX, SUNROOF, LEATHER, BACK UP CAMERA, NAVIGATION, BLUETOOTH CONNECTIVITY, PREMIUM SOUND SYSTEM, Wheels: 19" Alloy w/Gun Metallic Finish. Wholesale Direct Pricing from Don Mealey / Sport Auto Group - offering Unbeatable VALUE from a name you can Trust.- We price our quality cars, trucks and SUVs below market price daily to offer the absolute BEST VALUE in Central Florida. (No Salvage, Flood or Rebuilt Titles!) We also offer Low Bank Rate Financing, Credit Union Financing and Credit Challenged Finance Solutions in a Reputable - High Integrity Dealership Environment. DealerRater.com's #1 Customer Rated Dealership and Dealer of the Year 6 Years in a Row w/ over 6,000 Positive Customer Reviews Online :) Our Wholesale Direct vehicles are inspected, safety checked and always carry any remaining Comprehensive Factory Warranty. Our Used Vehicle Prices do not include tax, tag, electronic filing fee, pre-delivery service charge or Dealer Fee ($699). Due to the possibility of 3rd party errors or omissions, dealership is not liable for the accuracy of information in listing. THANKS for the opportunity to earn your business!